This story first appeared in the December 2018 edition of Australian Aviation magazine. The outlook is looking more positive for Cobham Aviation Services Australia, now an autonomous division within the large British defence and aerospace group, Cobham Plc, thanks to what it regards as “green shoots” in its valuable resources industry operations. It is also gaining new roles within its Australian Maritime Safety Authority contract in areas such as bushfire and police surveillance, and co-operative work with South Pacific nations. However, it faces a challenge to extend its major contract: the border security Coastwatch mission involving 10 Dash 8 aircraft patrolling Australia’s maritime approaches. Last May, Cobham Plc decided to separate the Australian division of its aviation services from operations in the UK, Europe, the Middle East and Asia. The Australian work – which also includes flying, maintaining and crewing 20 Boeing 717s for Qantas subsidiary QantasLink under a 10-year contract renewed in 2016, and operating four overnight BAe 146-300 freighters for Qantas – is understood to have accounted for almost 70 per cent of the international Cobham Aviation Services tasks at the time. The restructure was partly precipitated by the loss of a major UK Ministry of Defence helicopter crew training contract to rival Airbus, as well as smaller contracts in Trinidad and Qatar. At the time, Cobham managing director David Lockwood said the restructure would enable Cobham Aviation Services to improve its customer focus, reduce costs and remove a layer of management. The new chief executive for Australia, Ryan Both, 37, who took over from long-serving Peter Nottage in September, says the restructure is “a great move”. Under the changes the CEO continues to report to David Lockwood in the UK but, unlike predecessor Nottage, is not involved in issues across the wider Cobham aviation business. While he is new to the CEO role, Both is not new to Cobham. He served previously over a decade in a variety of roles, including three years running the fly-in/fly-out (FIFO) business from Perth, before joining Virgin Australia in a mining and resources role, then spending two years as senior vice president commercial aviation at Melbourne Airport. He has resumed at Cobham in time with the FIFO business showing signs of improvement, and after a period in the doldrums when resources companies cut back on operations in the face of reduced demand and prices following the Global Financial Crisis. Both is heartened by signs of “green shoots” in the FIFO business as resources companies beef up exploration and start to bring new mines and petroleum fields into production. Firmer prices and demand have enabled several projects to move forward, he said, opening the way to new FIFO contracts. “There are a few tenders out there now” and Cobham has been “very active” in responding to them. 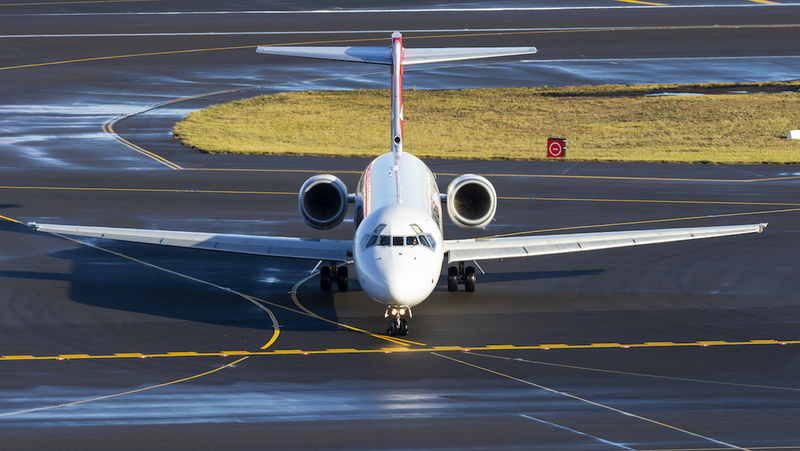 The downturn forced the aviation industry to trim costs and improve efficiencies. It also took some aircraft out of the equation. One casualty of that trend was the contract with international oil and gas giant Chevron and its North West Shelf operations. In 2014, Cobham won a major, five-year extension of its 2010 contract to serve Chevron, valued at $160 million. It involved acquiring a 104-passenger Embraer E190 aircraft to increase capacity on the Perth-Barrow Island route. However, under a new deal in September 2017, Chevron sought reduced flying activity for its giant Gorgon project and the E190 was returned to its lessor last February. Both said the Chevron contract had “stabilised” at the reduced level and Cobham had picked up two or three new, or extended, FIFO contracts in Western Australia, including deals with Independence Group and Dacian Gold. Also lost was the long-standing FIFO contract with Santos to serve the Outback Moomba fields from Adelaide. It was gained by Alliance. However, Cobham had compensation in winning the OZ Minerals contract to serve the Prominent Hill copper-gold mine, south-east of Coober Pedy in South Australia’s far-north, and OZ’s developing Carrapateena mine, south-east of BHP’s Olympic Dam operation. 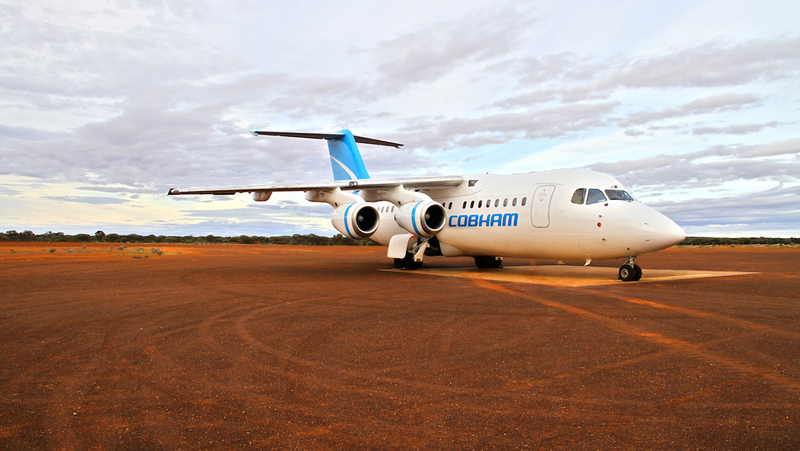 Both describes OZ Minerals as “a great customer”, with Cobham making five return flights a week from Adelaide and another four weekly to the Carrapateena project. There is the prospect of more as Carrapateena moves towards production later next year. The 2017 contract with OZ allowed for up to 20 flights a week. Meanwhile, the $640 million contract with the Australian Maritime Safety Authority for search and rescue operations is now fully mobilised. For the task, Cobham acquired four Bombardier Challenger 604 jets modified with advanced sensor and communications systems. One is based at Melbourne’s Essendon Airport, another in Cairns, a third in Perth and a fourth on stand-by. The contract requires crews and aircraft to be available 24 hours a day, seven days a week. “The aircraft are performing very well,” Both says. The main task is locating, identifying and assisting in ocean emergencies. 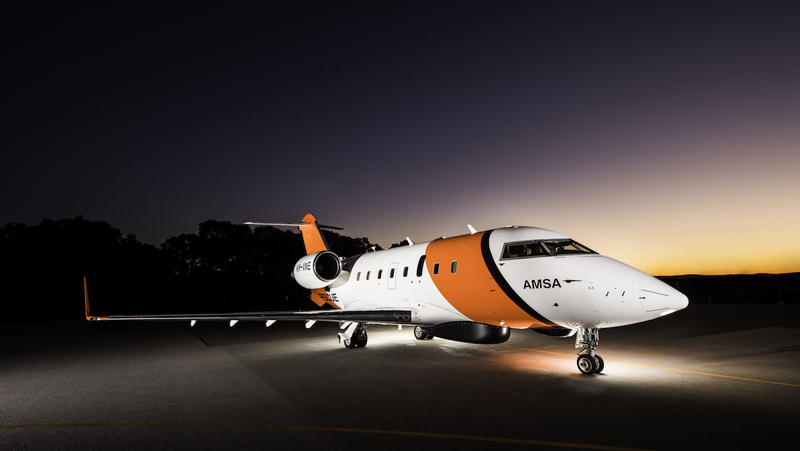 Through AMSA, the aircraft have undertaken cooperative work for Pacific Island nations and neighbours, particularly Papua New Guinea. “They’re a very versatile platform with such a big range,” Both says. That capability is expected to lead to further missions to assist Pacific neighbour countries with offshore emergencies. But the aircraft can be – and have been – used for onshore as well as offshore search and rescue work, including helping to find people in trouble and dropping stores to them. There are plans to use the aircraft to help surveillance on firefronts with the 604s and their advanced equipment having a night-time advantage over helicopters and light aircraft, in particular. “We can fly when helicopters can’t,” says Both. Both says Cobham also is working with police forces for much the same reason. Its 604s can undertake tasks beyond the reach of the traditional police helicopter and smaller, fixed-wing aircraft. However, such roles are secondary to the AMSA’s tasks involving vessels in distress. The search and rescue work is analogous with the Border Protection Command’s Coastwatch contract. “There are a lot of similarities in flying the AMSA and Coastwatch operations,” Both says. Cobham has 10 Dash 8s stationed around the country to undertake the $1 billion, 12-year surveillance contract around Australia’s 38,000 kilometres of coastline. The company began flying for Project Sentinel in 2008 and the present contract ends in 2021. The Home Affairs Minister, Peter Dutton, recently envisaged such advances as “drones prowling Australia’s far-flung ocean borders” and undersea sensors monitoring shipping movements. Dutton has issued a formal request for information from industry to assess the next generation systems, to better understand the potential technology, capability and commercial options available to future maritime surveillance. A scoping study had begun on the project, which would include developing technologies to add to existing surveillance capabilities. This would enable the Australian Border Force to respond to emerging maritime threats posed by organised crime and terrorist groups. The project was expected to involve studies, trials and independent evaluations as the government moved towards a competitive procurement process, Dutton said. Cobham is expected to face serious competition for the new contract and is preparing the ground for its bid already. Both says the Dash 8s are “great aircraft for the task” and performing well. But the new contract tender is expected to require significant upgrades to surveillance and communications systems while retaining a focus on “value for money” civil operations in the search for illegal immigrant and illegal fishing boats, smugglers and other criminal operations, and spotting ships causing environmental damage. In its bid to retain the Coastwatch operation, Cobham will assess and work to integrate a range of new technologies and capabilities for the task, including more satellite-based systems, Both says. And he expects remote flying to move more into focus in the next contract, a key factor in Cobham’s partnership with General Atomics and its Team Reaper Australia. Both points out that the US Customs and Border Protection organisation uses unmanned aircraft for surveillance work already, and he sees this as an inevitable future “step-change” in Australian border protection missions. 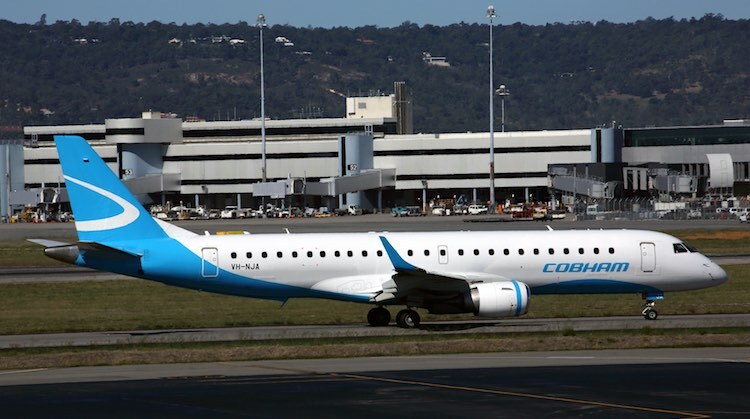 In the previous financial year, Cobham Aviation Services suffered a sharp fall in profit, largely as a result of “repricing” of the QantasLink contract. Profit almost halved to £22.8 million (then A$40.6 million). More recently, Cobham Plc reported to the London Stock Exchange that, in the six months to June 30 2018, Australian aviation revenue had slipped from about £108 million to £98 million (about A$180 million) – representing more than 60 percent of the company’s worldwide aviation services income. Both said annual revenue for Australia is running close to $400 million, with prospects of a better year ahead as the company seeks new and extended contracts and to trims its costs. As the third largest aviation group in country, after Qantas and Virgin Australia, he said, Cobham operates about 40 aircraft and has a “very diverse mix of aviation capabilities” which should enable the company to tackle new roles. One constraint to growth is the global shortage of pilots. Cobham Aviation Services Australia employs about 360 pilots in its total staff of about 1,300, but faces the universal problem of recruiting and holding on to the flightcrew. In January the company will begin training its own pilots through Parafield Airport-based Flight Training Adelaide which boasts Qantas, Virgin Australia, Cathay Pacific, China Airlines and Fiji Airways among its clients. Cobham’s head of special mission, Ken Millar, says the first intake of eight cadets will train as first officers for the Coastwatch Dash 8 fleet. He describes the role as “unique, hands-on, low-level flying”, with pilots and crew based in Cairns, Darwin and Broome. The cadets will gain flying time on Flight Training Adelaide’s Diamond DA40 and DA42 aircraft, and the aerobatic Mudry CAP 10, as well as using the flying school’s simulators on their way to gaining an advanced diploma in aviation (pilot in command) and an airline transport pilot licence (ATPL). While the initiative is aimed at the demanding Coastwatch role initially, Millar indicated that Cobham will seek to train pilots in the future for its other operations, include FIFO and charter flights. Both said there has been interest from around the country for the year-long residential course, which offers an entry-level opportunity for aspiring pilots. It’s all part of what the new CEO sees as “an exciting time” ahead for Cobham in Australia as the company seeks to build on its established capabilities and to assess new aviation roles. This story first appeared in the December 2018 edition of Australian Aviation magazine. To read more stories like this, subscribe here.